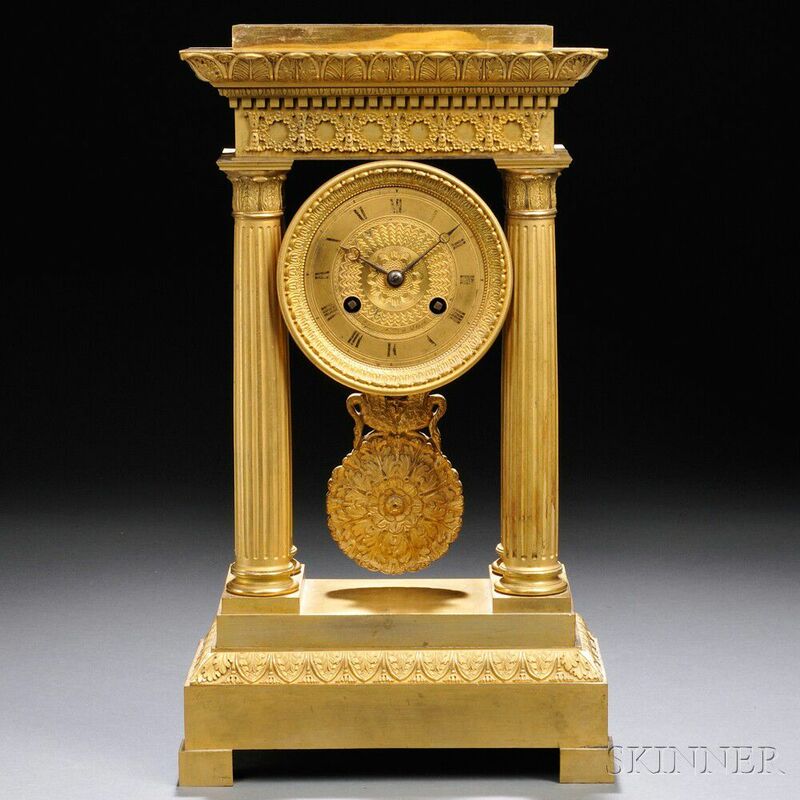 Gilt-brass Portico Mantel Clock, Dijon, France, c. 1840, with four Corinthian columns supporting the cornice and flanking the 4-in. engine-turned Roman numeral dial, eight-day, time and count-wheel strike movement with floral pendulum surmounted by two swans, all on a raised plinth, ht. 16 1/2 in. Some paint loss on Roman numerals. Dial marked by clockmaker but is not readable. Movement runs and strikes but may need cleaning and adjustment.